Look up at the sky on a clear night and it looks like chaos. Beautiful, omnipotent chaos. But let your eyes adjust and you’ll see law and order up there. We’re not arguing there’s purpose in the layout of the sky, but there is sequence and evolution. You’ll see the brightest stars that guide your eye, the clusters of stars that build the background picture, and maybe even a shooting star burning across the sky. This is rather similar to how a content strategy works. Your website should be your North Star, guiding users and remaining stolidly present. 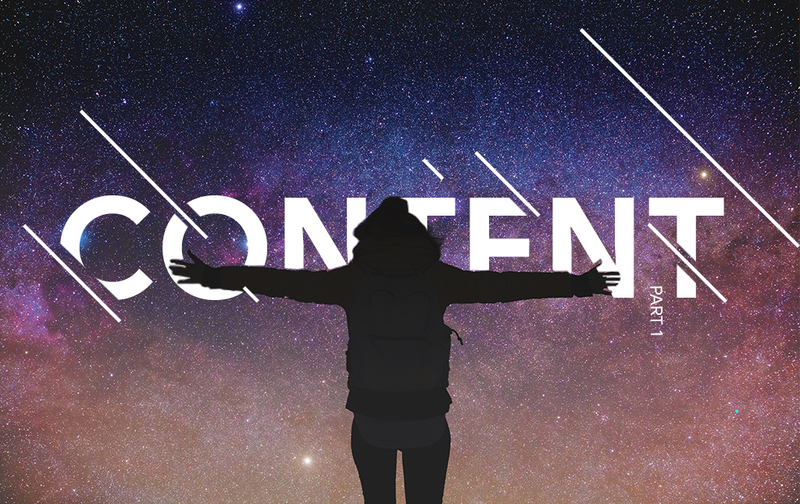 Auxiliary content cluster stars are extensive in number, building brand narrative and supporting the site, and creative campaigns are rare, beautiful shooting stars, designed to make an impact. And if you’re a business with a website, you need a content strategy to harness these unruly bodies and secure your resource from black holes. A content strategy is the umbrella that ensures no piece of content is left out in the rain. It’s a plan of action that manages the scheduling, research, creation, and analysis of content. Your strategy won’t just cover written word – it includes video, animation, graphics, podcasts, social media, email marketing…it’s broad. The objective of a content strategy? Ensuring every piece of content exceeds its goals. And if it doesn’t, why, and what can be learned from that. Important, however, are the next three steps, which are often still ignored: promotion, measurement, and evolution. A strategy allows us to make the most out of every piece of content. In a word, a strategy is efficiency. Your strategy is there to build the foundations of your site with evergreen content that clearly and concisely explains your offering, your products, and your brand. It’s there to talk about your brand spirit and the reasons your customers should believe in you. Your strategy is there to answer very specific questions, with the aim of adding value to your customers’ lives. Content strategy allows you to maximise the effect of creative campaigns, by weaving supportive content throughout, boosting impact and efficiency. When done well, this delights your customers and teases out their loyalty. And your strategy is there to look back at every piece and to refine it to improve performance, and to learn from success and failure to make every piece stronger. Need help with a content strategy? Part II of this article looks at the fundamentals of how to build a content strategy. Look out for this soon! ifour helps clients build their content strategies to inform, engage, and delight their customers. If it feels like your content is disappearing into a black hole, give us a call (01892 541 111) or pop us email (hello@ifour.co.uk). We’d love to help.